Friends galore but time poor? Well Tili could be the answer to all your gifting needs! 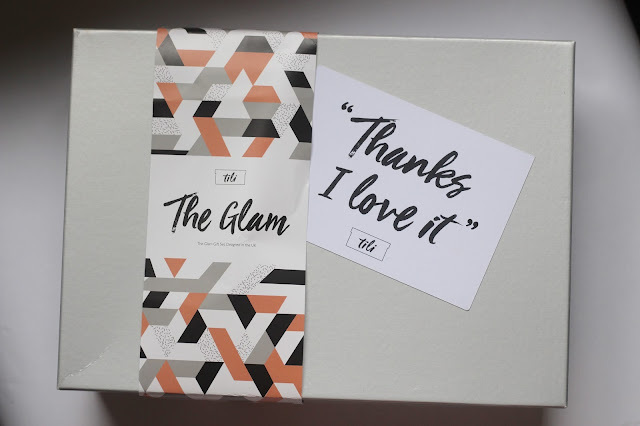 Thanks I Love It or Tili for short have recently launched a new gifting concept; a hand selected bundle of products, beautifully packaged and locally sourced from around the UK. Tili was founded by best gal pals, Danielle and Sarah, after they both became tired of the repetitive, endless hunt for meaningful and unique gifts for their friends. As well as wanting individual, interesting gifts the ladies also wanted to support UK busineses, so they made it their mission to gather together the best of local goods and package them up in carefully thought out gift packages. If you're anything like me and have little time to go on the hunt for gifts these boxes will be just the thing for you! 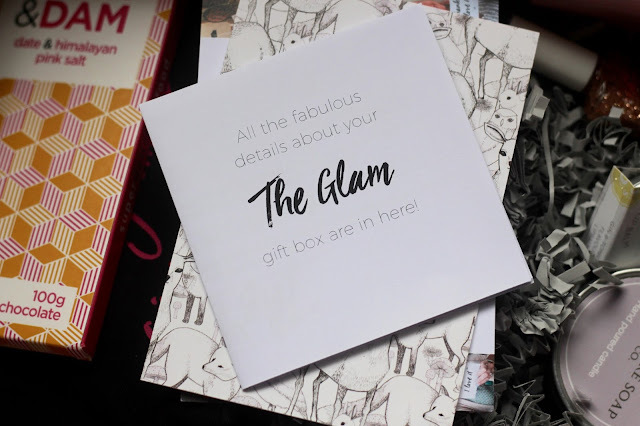 Till kindly sent me over 'The Glam' box to review. 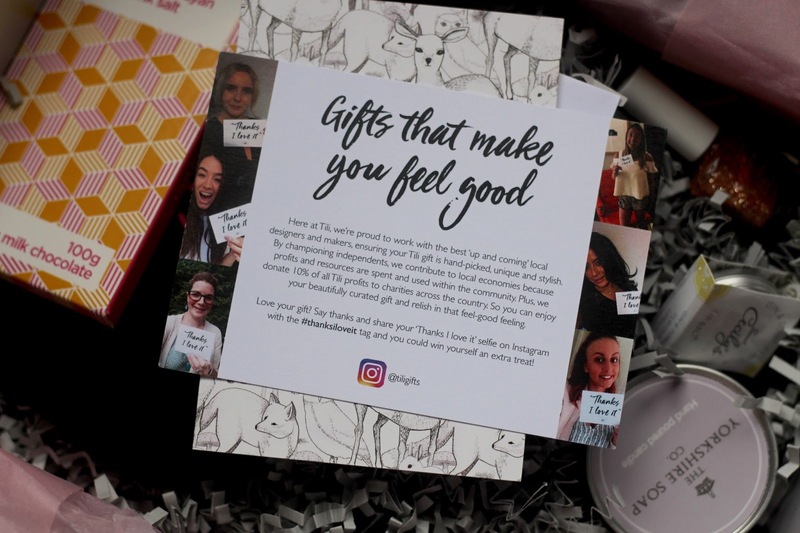 Each box comes with a brand information card; explaining the concept of supporting UK small sellers and also mentioning that 10% of their profit goes to charities around the UK. Alongside this it also comes with a 'menu card providing more information on each of the products found in the box. 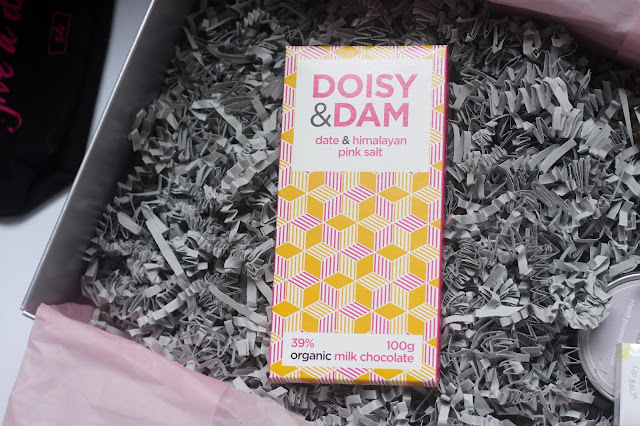 Doisy and Dam's Date and Himalayan Salt Chocolate Bar- Originally I wasn't totally drawn to this as thought the date taste would be too strong but oh my, this is delicious. Its kind of like a twist on salted caramel. The 39% milk chocolate is melt in your mouth delicious. Mrs Cross Nail Shop Nail Polish in shade Gilded Romance- A shimmer nail polish packed with rose gold flecks to add a sparkle to any christmas nail look. 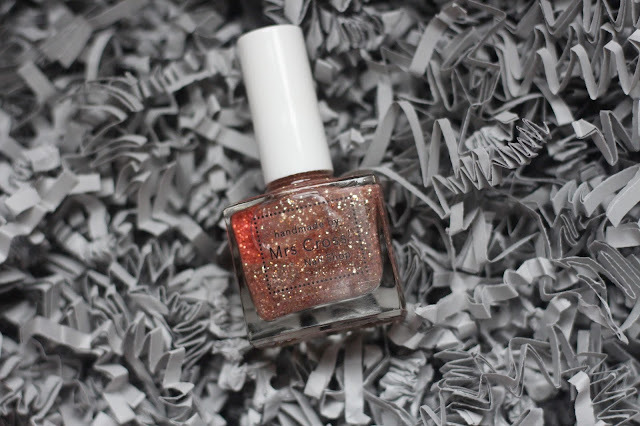 Mrs Cross nail polishes are free from the five most harmful chemicals found in the majority of other polishes. 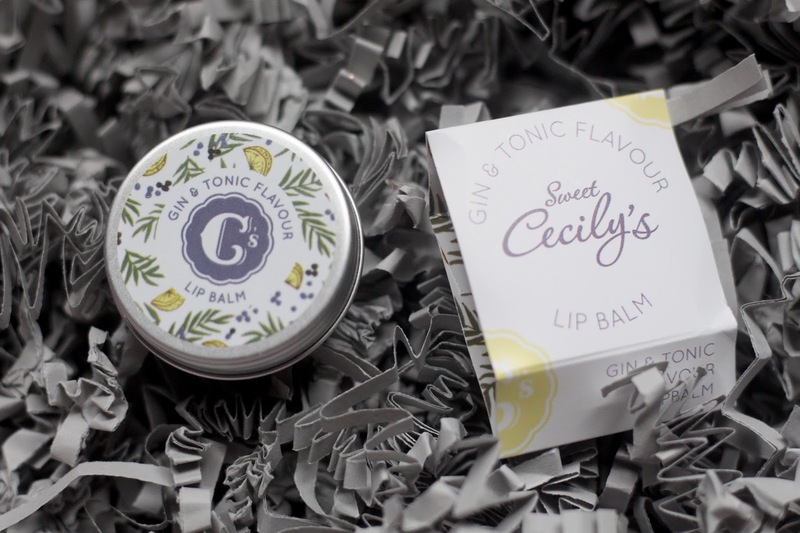 Sweet Cecily's Gin and Tonic Lip Balm- A petite pot of zingy lip balm always goes down well with me! I love Sweet Cecily's lip balms so was happy to see this included in The Glam box. 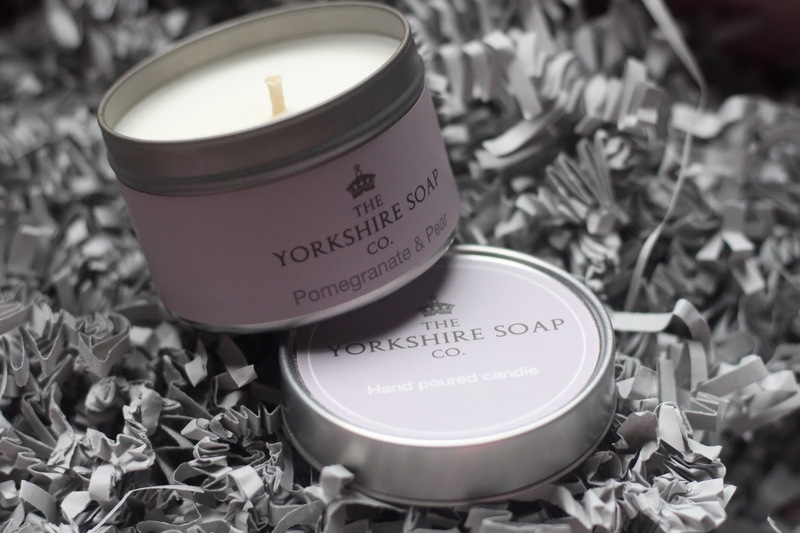 The Yorkshire Soap Co Pomegranate and Pear Candle- I'm always on the look out for new candle companies so was happy to see this one included in the box. The candle smells jus divine; very much a fruity scent that reminds me of a summer inspired cocktail. 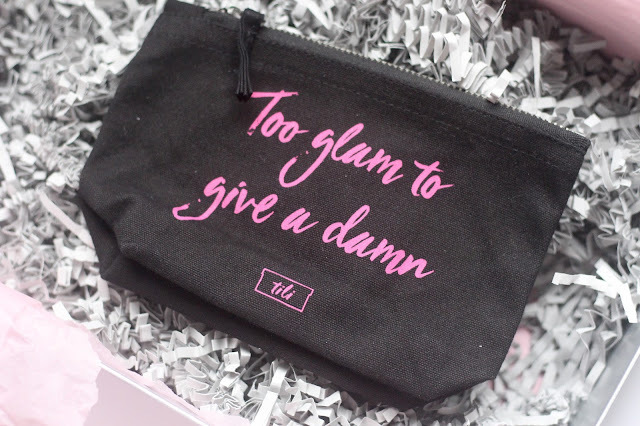 Westford Mill X Tili Glam Makeup Bag- Sometimes in gift boxes theres always a filler item; at first I thought this was it but once I felt the quality of the makeup bag I knew that wasn't the case. This 100% cotton ethically produced makeup pouch is perfect for storing my everyday makeup kit in when out and about. I love the slogan on the pouch..although, being a new mum I hardly feel the most glamorous but one day maybe this will be true.. hehe! The Glam Box is £36 (plus £3 postage) so I'd class this as a luxury treat. If you fancy going for a gift box but don't want to spend that much then Tili have other gift box options available; The Minimalist,The Treat and The Lush. I love the Tili gift concept idea and think its great that they only include products from UK small businesses; its a great way to discover new, upcoming brands for sure. Which box would you like to receive? Do you know any local brands who would fit in the Tili boxes well?